Data Science Institute alumni graduate with the skills to solve real-world problems, collaborating across public and private sectors and combing through the modern flood of information to create actionable solutions for the common good. Get to know three recent DSI alums, and learn how they’re applying the practice of sound, responsible data science to their fields. As a registered nurse, Caitlin Dreisbach merges the innate compassion of her profession with a data-driven approach to provide the best outcomes for patients. 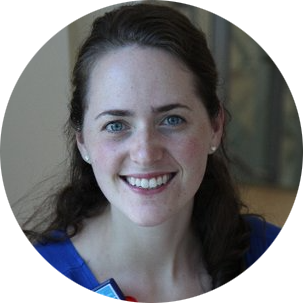 Dreisbach is completing her Ph.D. in the UVA School of Nursing and is an alum of the MSDS Class of 2018 at the Data Science Institute. She also served as a Presidential Fellow in Data Science, where her ongoing work has drawn her into seeking a greater understanding of gut health and its relationship to maternal and infant well-being. Alongside Caroline Kelsey, Dreisbach is studying the interplay between the intestinal microbiome, anxiety and depression during pregnancy, and subsequent maternal–child attachment. While working at the DSI, Dreisbach also completed a capstone project focused on determining how neural networks and deep learning technology can help predict neurological disorders. With plans to complete her Ph.D. in 2020, Dreisbach will continue to pursue her mission as a nurse/data scientist. She’s motivated to learn more about the ways the maternal intestinal microbiome is connected to the regulation of insulin resistance, impaired glucose tolerance, and the incidence of gestational diabetes. Her training as a data scientist equips her to continue her research—and continue bringing the best possible care to patients with a broad range of needs. Since he was young, Gabriel Rushin has been enchanted by numbers. In second grade, his class was challenged to a math contest and asked to solve two sheets of addition problems as quickly as possible. After daily practice with a timer, over and over, with his parents and grandparents, Rushin won a prize for being one of the fastest to finish. This lifelong love of math took him to the University of Virginia, where he graduated with a B.A. in Mathematics in 2016. As an undergraduate he began to think about what he wanted to do in the future, and stumbled on data science. Rushin enrolled in the MSDS program and completed a capstone project that sought to compare the predictive power of banks’ fraud detection models. Working with his fellow MSDS students Cody Stancil and Muyang Sun, Rushin compared the algorithmic impact of banks’ predictions across three supervised classification models: logistic regression, gradient boosted trees and deep learning. 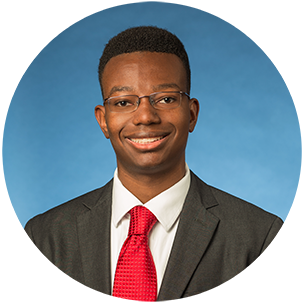 He graduated from the MSDS program in 2017, and today, he serves as an associate data scientist at P&G in Cincinnati, Ohio. “I work on applying data science at P&G on the world’s biggest brands, including Gillette, Pantene and Head & Shoulders, to make better business decisions in both retail and marketing,” he says. Nicholas Venuti discovered his passion for data science while working in the oil and gas industry. After graduating with a B.S. in Biomolecular Chemical Engineering from North Carolina State University in 2012, Venuti joined an environmental engineering consultancy as a chemical engineer focused on oil and gas projects. When he enrolled in the MSDS program at the Data Science Institute, Venuti worked on a capstone project with the UVA Religious Studies department that sought to discover new methods to represent text as numerical data through the use of machine learning classifiers. Venuti now serves as the vice president of machine learning at Morgan Stanley, working in the Artificial Intelligence Center of Excellence in New York City. He loves the wide range of projects that he gets to work on and the variety of data methods he applies to his daily work. He encourages future data scientists to consider the industries that they’re most interested in—and then to discover how to apply the principles of data science to that field.